You don’t need to be a web developer to create a website nowadays. There are plenty of drag-and-drop website builders and CMS platforms available online, where you can easily get a website up in less than an hour. 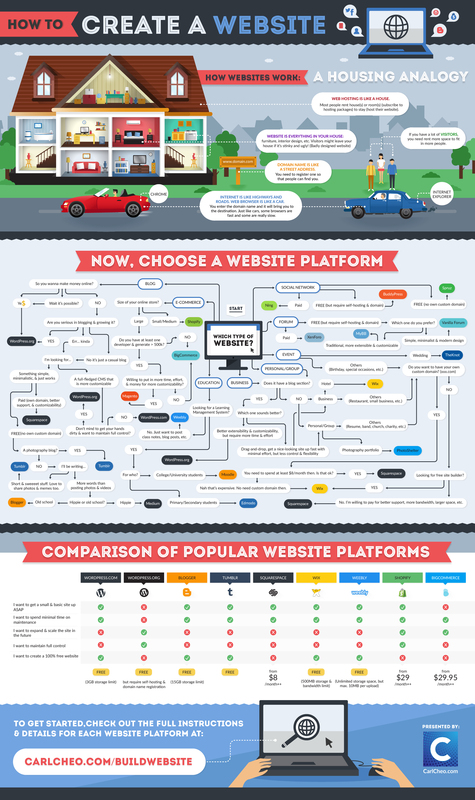 To help non-developers to pick a website builder/platform that suit their purpose and preference, here’s a detailed flowchart by CarlCheo.com with comparison table of popular website platforms.